1) The “she’ll be right” attitude. On one of my first shore dives I was away up in the Coromandel, New Zealand. I had only just gotten into the sport and I was really keen just to get in the water for a dive. On the morning after arriving I was up bright and early and walking down to the beach to head out shore diving. 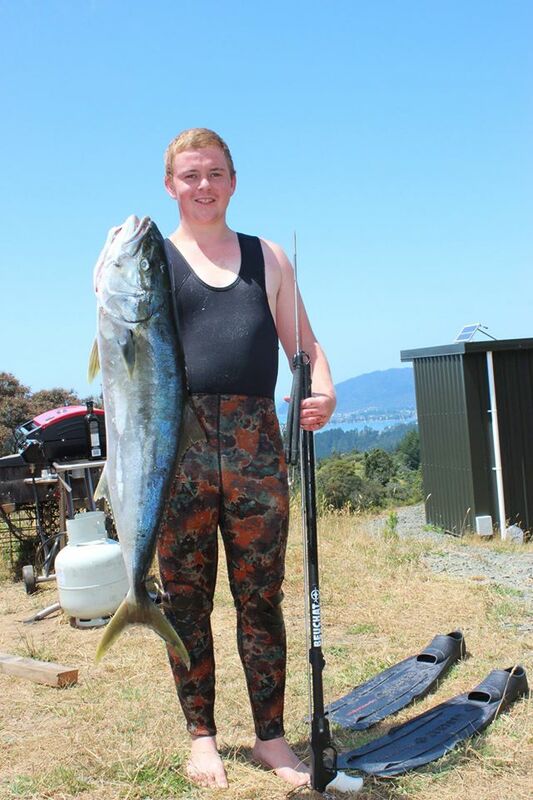 Before I knew it I had shot a nice kingie (Yellowtail Kingfish) and I was being towed round in about three meters of water with fairly heavy surge and rocks close by. I made a number of mistakes that day, but the biggest one was assuming everything would be “sweet as”. I failed to check the conditions so I got fairly pummeled swimming out through surf. I also made the mistake of going by myself. I had never dived that area nor had I ever shot a Kingfish so admittedly I screwed up royally there. To top all that off, my gun was only 90cm and my float line was poor quality, too long and attached to a small boy much like you see attached to crayfish pots. As you can gather it’s probably somewhat of a miracle it didn’t go extremely pear shaped. Nevertheless after nearly getting wrapped, washed onto the rocks and dragged around, I found myself swimming back into shore having landed the Kingfish. 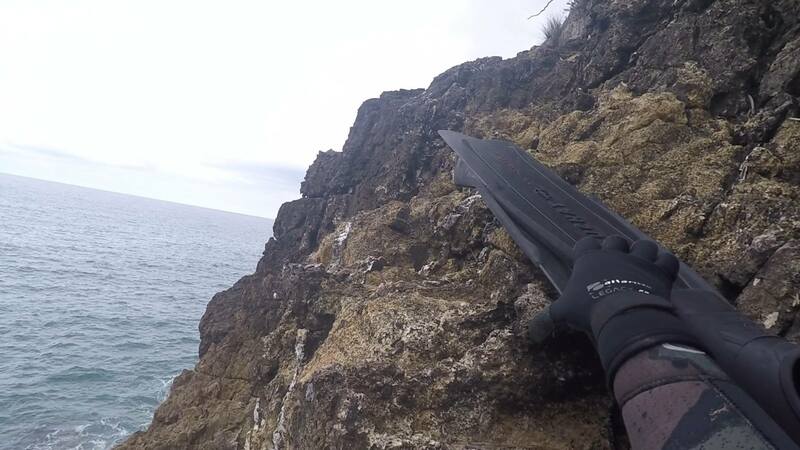 I could talk about the potential hazards of all the mistakes I made that day, but the biggest thing I must emphasize is don’t assume “she’ll be right”, spearfishing is not the sport for assuming all will be “sweet”. Be organized. 2) Organize your gear before you get near the rock hopping part. A classic mistake that myself and I’m sure many other newer spearos make is, rock hopping with a fin in each hand, gun under one arm, float under the other, float line being held in a finger then tripping and dropping half your gear everywhere and repeating it all a few times. Lesson: Organize your gear before you get near the ocean. It makes life easy. I wrap my line around my gun now, hang the float off it or clip it to my belt, put my mask around my neck so all I’m holding is my gun and fins. The Armed Snorkeler shorediving rig. Note the hard float and wrapped floatline. The third mistake I’ve made falls again under the “she’ll be right” category. It really comes down to considering entry and exit points. I ended up scaling a small cliff in all my gear with a mate just to get to a remote spot that was in all honesty, bloody rubbish. The risk vs reward really wasn’t worth it. 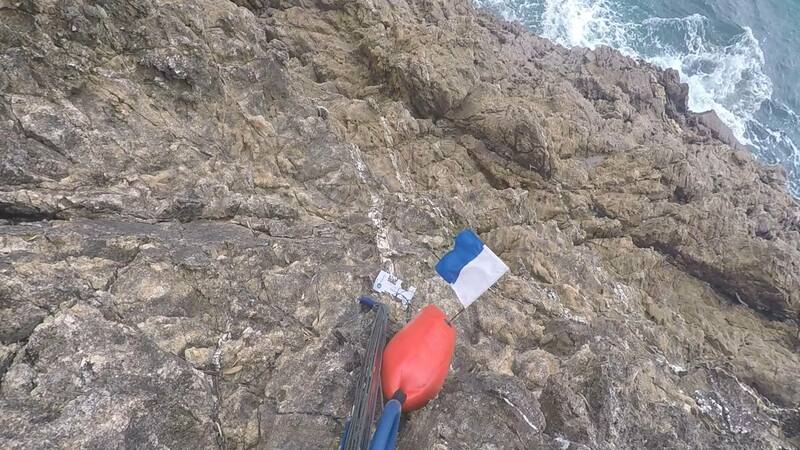 If we had shot a half decent fish I have no idea how we would’ve gotten back up the cliff, or if someone was to get injured it would have gone really pear shaped. 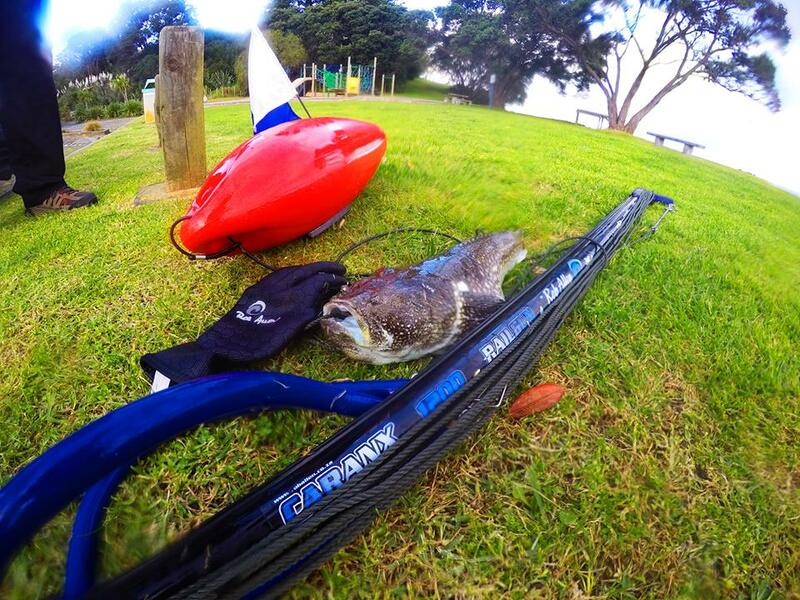 To Learn More about Shore Dive Spearfishing, check out these articles.